When you buy large sacks or bags of flour, the bags are great for selling in a grocery store but for long term storage in your house, not so good. It unfortunately is too suseptible to bugs getting into it, or getting damp. If you have an excess amount of mason jars, you can store flour and grains in mason jars. But when you think about how many jars it would take to hold 20lbs or 50lbs of flour, it would be an excessive amount of jars, not to mention the space. You can vacuum seal bags of flour and grains, this will take a lot of bags to do though. If you can afford it, this is one way to do it and ensure it is airtight. 5 gallon food-grade plastic buckets are popular with many people for storing flour and other grains. If you contact local restaurants and bakeries, they will often sell them to you for a dollar or so a bucket, if they won’t give them to you for free. Bakeries in particular get most of their dry ingredients in these buckets. If you cannot find food grade buckets, you can line them with mylar before putting your food in. You can fit about 30-35 pounds of flour into a 5 gallon bucket. They may or may not come with lids, but if they don’t, you will want to pick up lids called Gamma Seal Lids. These seal the buckets to be airtight, but also make it easier to take the lids on and off since they twist. The regular lids can be difficult to remove, especially if you need to open them often, such as when you are rotating your pantry stock. Your supplies will also last longer if you remove the air from the buckets first. Oxygen absorbers (also referred to as O2 absorbers) can be placed into the bucket before sealing and they will remove the oxygen. Some people use dry ice and place a small piece in each bucket prior to sealing (remember you must use gloves to handle dry ice). 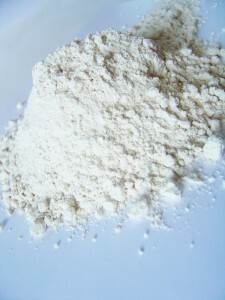 You can store flour in the freezer to also extend the shelf life. But like all preps with a shorter shelf life, remember to rotate your supplies. If you do not use that much flour in a year, you can always donate to a food bank a few months before it gets near its end shelf life, however do be aware that many food banks will not take food you have repackaged. A great prep idea is to turn the flour into baked breakfast bars, bread or muffins and then store them in your freezer to extend the usable life of the flour even longer. And if you have kids, they are great for snacks and lunches so your flour preps don’t go to waste when you are replacing it.